14 oz. impact doubled walled stainless steel travel tumbler with drink thru, flip-lock spill resistant lid. 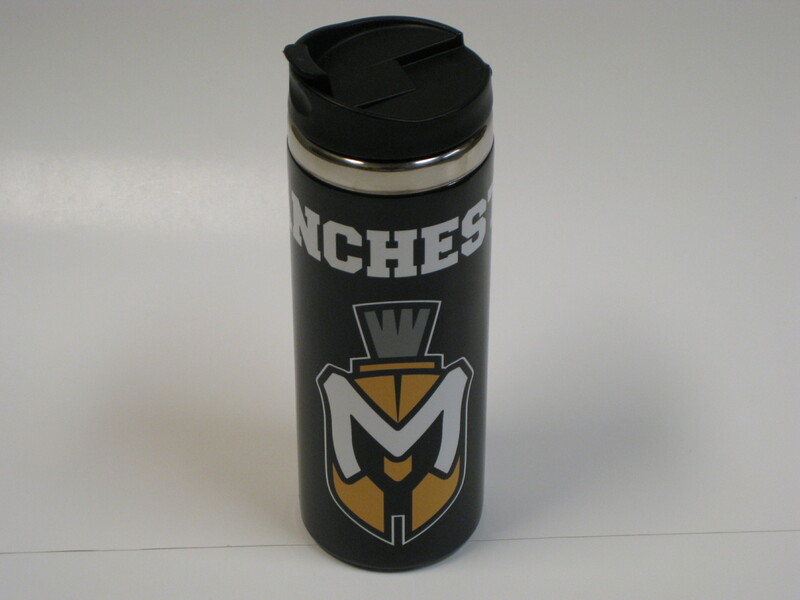 Also has Manchester spelled out and wrapped around the top of travel tumbler and our large Spartan head in the middle.